High flying thrills! 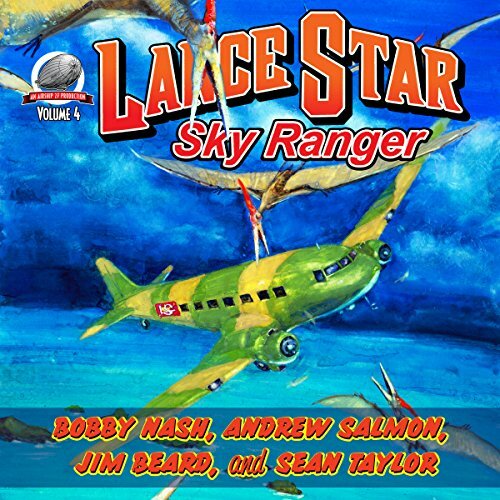 Rev up those Pratt-Whitney engines, pull back on the stick, and prepare for take-off, as Lance Star, Sky Ranger gets ready to soar into the clouds in this, his fourth volume of high flying adventures. Once again it's time to join America's aviation ace, Lance Star and his faithful team: Buck Tellonger, Cy Hawkins, Jim Nolan, and Red Davis as they fly into four brand-new hair-raising tales. From discovering a hidden Nazi base on lost South Seas Island inhabited by prehistoric monsters to foiling an assassination attempt on President Roosevelt, the Sky Rangers travel the globe tackling danger wherever they go. So goose your fuel lines, spin the props of your Skybolts and Skeeter, and prepare yourself for classic pulp action. Writers Bobby Nash, Sean Taylor, Andrew Salmon, and Jim Beard have delivered a quartet of fast-paced, high-soaring stories to keep you buckled up tight.